When the Rockland County Corrections Officers union supported Republican Richard Vasquez for Rockland sheriff, union leaders soon feared retribution from their boss, Sheriff Lou Falco. Union leaders and members who were most active in Vasquez’s campaign have oft-complained off-the-record about being targeted by Falco’s regime in various petty ways. Now Falco has the biggest pelt of all to hang on his wall. 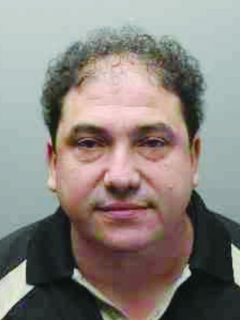 Union President John Cocuzza has been suspended from his job pending prosecution for “misconduct” and “records tampering” for allegedly incorrectly logging in that he had supervised prisoners on suicide watch when he allegedly had not done so. He faces 68 total counts, including 17 felonies. While the courts will determine whether the allegations against Cocuzza are true, there can be little doubt that if he had towed the Falco line, he would have never faced the inquiry in the first place. This is the point that recently defeated candidate Vasquez brought up in a social media rant following coverage of the arrest. Vasquez said, “Rockland County Sheriff Louis Falco has stooped to an all time low! This retaliatory act will cost Rockland County taxpayers millions of dollars in lawsuits. “It is not a coincidence that all the Corrections Officers that supported me are being forced to retire or face frivolous charges. The question everyone should ask is simple. If these acts are true, why were they not investigated previously? “Also, why aren’t the supervisors who are supposed to be supervising the officers, not being held accountable, and charged with failure to supervise? Falco told the Journal News that he took no pleasure in making the arrest and that the investigation was an offshoot of his crackdown on overtime abuses, which he claims spawned union resistance to his leadership in the first place. Cocuzza made headlines recently when it was found he made the most overtime of any employee in the county. The union vice president Richard McNichol made the second most. He took a settlement offer from Falco, including his resignation, rather than face criminal charges. Union members say Falco’s claim regarding the reason for their support of Vasquez is far-fetched. Union members complain Falco is a petty tyrant who plays favorites and gives his own son cushy assignments at the expense of others. Rockland GOP activist and Richard Vazquez-nemesis, Anthony Mele, cast suspicion on Vasquez’s statements in support of Cocuzza. Mele said, “Enough of the gloating. This is a welcome clean-up if any of it is proven true. Mr. Vazquez’s public statement opens himself up for deeper scrutiny as well. He injected himself into this unnecessarily. Why is he mounting what sounds like a pre-emptive defense?